08 nights / 09 days of an enthralling Sri Lanka honeymoon tour promising couple’s excitement and adventure featuring an elephant ride in Habarana, a Safari to the Minneriya National Park, a hike to the Sigiriya Fortress, a stopover at the elephant orphanage in Pinnawela, breakfast overlooking the misty hills in Nuwara Eliya and white water rafting in Kithulgala. 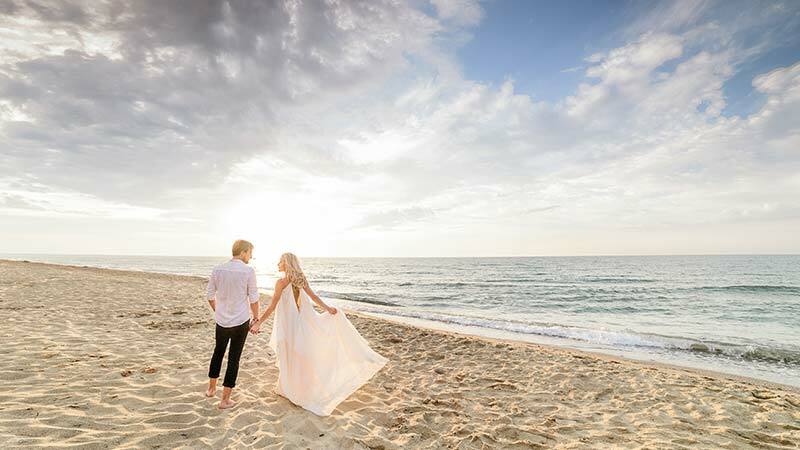 These tailor-made honeymoon tours await honeymoon couples who are seeking not only a romantic getaway but an adventurous holiday as well, that will create a lifetime of beautiful memories. On arrival at the Bandaranaike International Airport, you will get your first taste of warm Sri Lankan hospitality; Representative from Nkar Travel House will welcome you and transfer to Negambo as part of the first tour included in this unique honeymoon package in Sri Lanka. The Negambo town boasts several buildings dating back to the days of Dutch and Portuguese presence in the country. The beautiful sea shores and the ocean are dotted with catamarans. The Negombo lagoon is famous for its harvest of lobsters, crabs and prawns. The seafood auctions on the beach are a must-see. Other highlights of the city is the Dutch Fort and the historic Catholic Church. Dinner & overnight stay at Hotel in Negombo. Check-in to the hotel and in the evening Enjoy an Elephant back ride. The Elephant Safari Habarana (At Village) has become a highlighted event to tourist for excitement and adventure or even for the “Chance of a Life”. Ride will be for 01 hour. Dinner & overnight stay at Hotel in Habarana. Climb the 5th century Sigiriya rock fortress which is a world heritage site, built by King Kashyapa (477-495 AD). The ‘Lion Rock’ is a citadel of unusual beauty rising 200 metres from the scrub jungle. The rock was the innermost stronghold of the 70 hectare fortified town. A moat, rampart, and extensive gardens including the renowned water gardens ring the base of the rock. The world-renowned frescoes of the ‘Heavenly Maidens’ of Sigiriya, which are in a sheltered pocket of the rock approached by a spiral stairway. These frescoes are painted in earth pigments on plaster. In the afternoon do a Safari of the Minneriya National Park by jeep. The extent of the Minneriya National Park is about 8,889 hectares. There are wet-lands in this National Park, which have international importance, animal and plant species, which are plenty in dry zone are found in this park. Wild elephants, various amphibians, local and immigrant bird species are plenty in this park. About 160 species of birds, 09 amphibians, 25 reptile species, 26 fish species and more than 78 butterfly species have been found in this area. There are bamboo trees which are rare in other parks and wild elephants can be seen conveniently. The significant feature is that these elephants can be seen going closer to them. Proceed to Kandy. On the way to Kandy visit a spice garden in Matale. Arrive in Kandy and do city tour. Breakfast at the hotel and visit Pinnawela Elephant orphanage. There after visit Peradeniya Botanical Garden. Lunch at Garden Restaurant and return back to hotel. Dinner & overnight stay at Hotel in Nuwara Eliya. Breakfast at the hotel and day spent at leisure or visit Horton Plains. Breakfast at hotel and transfer to Colombo. Proceed to Colombo and check-in to the hotel. Dinner & overnight stay at Hotel in Colombo.